This report was commissioned by NESTA Futurelab and co-authored with Professor Angela McFarlane. The report formed an introduction to opinion on the role of computer games in supporting children’s learning inside and out of school. The report contains a summary of the contemporary state of the computer and video gaming industry, market and culture, an overview of significant developments in research into gaming and the educational relevance of video games, and a summary of the literature resulting from this research. The report was commissioned by the Entertainment and Leisure Software Publishers Association (ELSPA) and co-authored with Hilary Ellis, Professor Stephen Heppell, Aleks Krotoski and Professor Angela McFarlane. 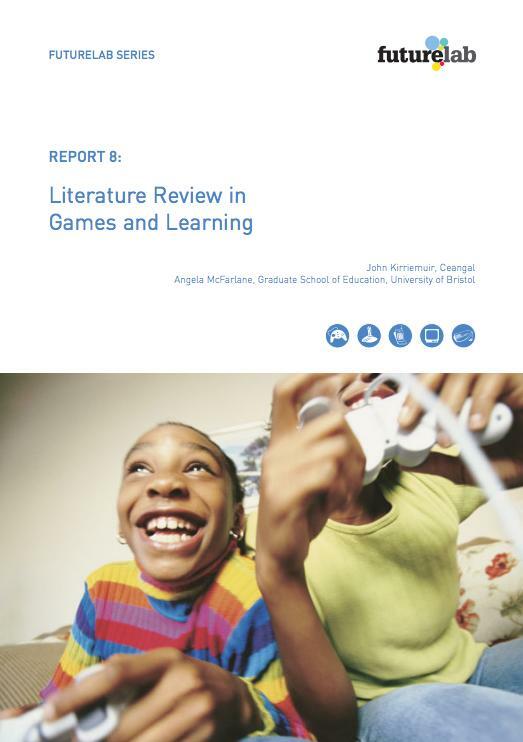 The report presents an overview of gaming and the gaming sector, the theoretical foundations of how games can be used in learning, many examples of video game-centric learning in UK classrooms, but also some of the problems and obstacles with using this media in schools. 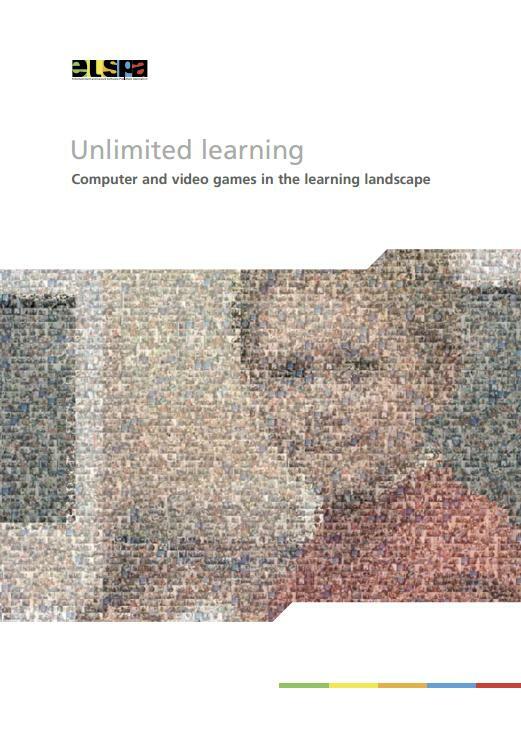 The report also discusses games within lifelong and adult learning, examples of game-based learning outside the UK, and gaming within the context of technological changes and opportunities in the school sector. This was a presentation at the ALA TechSource Gaming, Learning, and Libraries Symposium. As a historical side-point, this took place in Chicago on the day of the US presidential election, adding a surreal atmosphere to the event. The presentation gave an overview of the history of Nintendo. It introduced a few examples of Wii console use for physical gaming in various situations, with a focus on social, health and rehabilitation cases. The talk concluded with some examples of Wii game use in public libraries, either through events or the lending of software to patrons. The presentation can be viewed or downloaded from the above insert, or from Slideshare. This was the keynote presentation at the Learning in Virtual Worlds conference, organised by Jisc RSC Northern and hosted by the University of Sunderland. The presentation discussed the suitability of virtual worlds for education, and examples of software such as Second Life being used in UK universities and colleges for teaching, learning and research. It discussed the problems encountered by some academics when negotiating with IT services in their institution for virtual world access, some evidence for virtual worlds being useful in teaching, how to deal with sceptics, and how to obtain funding. This was the seventh snapshot of virtual world activity in UK higher and further education, produced by the Virtual World Watch project and funded by the Eduserv Foundation. 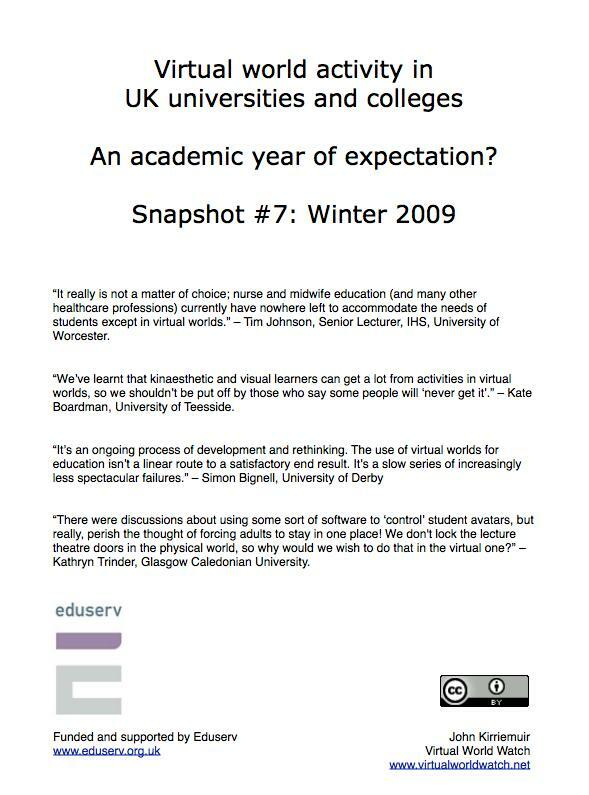 As with the other snapshots produced by Virtual World Watch, the report contains examples of virtual world use in UK universities and colleges. Much of the comment within was provided, with varying degrees of informality, by academics using (or attempting to use) virtual worlds. The report showed a continuing trend of virtual world use in health, the biomedical sciences and the arts in particular, and Second Life remaining the predominant choice of this genre of technology in education. This snapshot report also contained a detailed response from all 13 Jisc-funded Regional Support Centres, and comments about the issues, barriers and perceptions of virtual world use in UK universities from a variety of academics. The snapshot report can be downloaded as a .pdf. 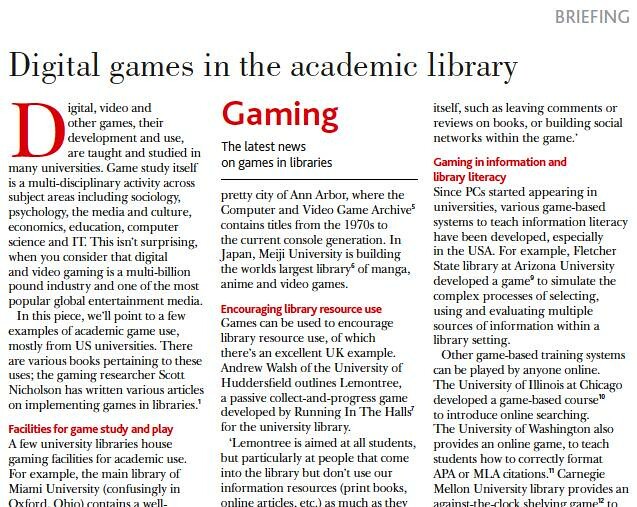 This was one of a series of six articles written for the CILIP (UK Library Association) newsletter “Update”, around the wider topic of the relevance of games (not just digital) to the library and information science professions. The articles are informal and introductory in nature; all can be downloaded as .pdf files. 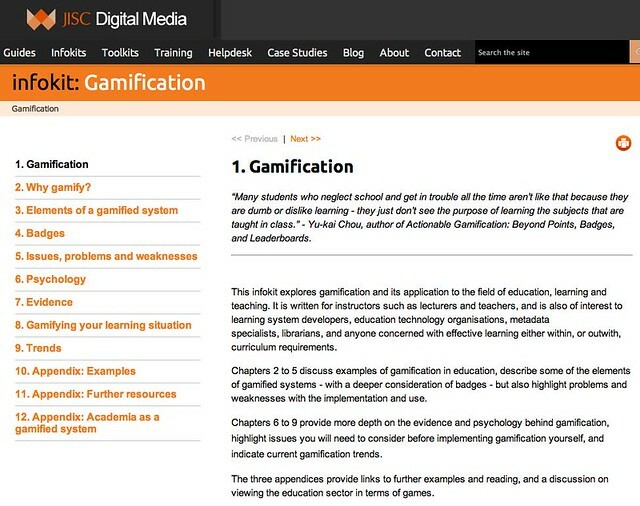 This infokit was commissioned by Jisc Digital Media, who needed a resource concerning gamification that was both introductory and had significant depth and robustness. The work incorporated a wide range of viewpoints from across the spectrum, and shows that gamification in education cannot be reduced to a simple good/bad binary. The text is divided into 9 chapters and three appendices, containing 30K+ words, 200+ links to external resources, and an index of 40+ described gamified systems. While the central focus is on gamification in education, the infokit sometimes takes a look at non-learning systems. Particular attention is given to components of gamified systems, badges, and the perils of gamification. The infokit also covers psychology and evidence, trends, and a pathway for deciding how to gamify your service. The infokit finishes with an offbeat reframing of academia as a gamified system.